Sorry for the lack of updates last week: I had a story about the bullpen woes and Omar’s future on the unemployment line loaded and ready to blast a week ago, but then they started accomplishing good things, and I decided maybe it was best to give it the “no-hitter treatment” while it lasted. But the forthcoming addition of Luis Ayala to the Met scrolls, and Billy Wagner‘s latest setback, are noteworthy enough to briefly interrupt my winning streak silence. Though Ayala has been worked pretty hard — he’s in Heilman/Feliciano territory as far as appearances are concerned — I like this deal if only because anything could help and he came so cheap. One only needs to look at the uni numbers to see Anderson Hernandez had no future here. 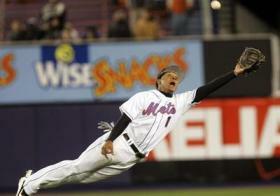 As a late-season callup in 2005 and opening day starter at second-base in 2006, Anderson wore No. 1, but he was stripped of that by the time the Mets acquired Luis Castillo and reappeared in No. 4. That number was subsequently issued to Robinson Cancel, and then to Argenis Reyes: Losing two numbers, to three guys, in less than a year, is a condition rarely recovered from. As for Ayala, he’s No. 56 with Nationals: That uni currently belongs to Mets’ bullpen pitcher Juan Lopez. The update we didn’t record was the unsurprising demotion of Carlos Muniz for John Maine last Wednesday. Submitted by Dave Mackey (not verified) on Mon, 08/18/2008 – 9:44am. According to this morning’s game notes Ayala is suiting up in 56. I guess they’ll need to find another uni for Lopez. Submitted by Jon Springer on Mon, 08/18/2008 – 9:32pm. Gawd, look what I did. Feel free to punch me in the face next time you see me. Submitted by Matt B (not verified) on Tue, 08/19/2008 – 3:04pm. What did you do, Jon? Did I miss something for which you deserve a face punching? Submitted by Jon Springer on Tue, 08/19/2008 – 9:27pm. 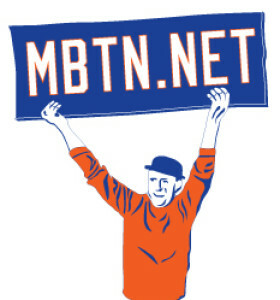 I was pretending that not making website updates was responsible for the lack of explosions from the Mets’ bullpen. Then I go and make a post, and they blow one.